DVD | It's a Mad House, a Mad House!! So last night, our TiVo presented us with the darling of the film world, Juno. About half way through this movie, I felt compelled to write something about how it made me feel. Let me start by saying that I don’t get what all the buzz was about. While Juno was technically a well shot movie, the writing was horrific and that just ruined it all. First, the dialog between the teen characters was the most annoying thing I’d ever heard in my life. First, I don’t believe that teens talk that way today. Secondly, I felt like the movie was trying so hard to be hip and cool that none of the characters had conversations that amounted to anything. The characters in the movie were horrific. Between the teenagers who seemed incredibly smart and dumb at the same time and the portrayal of Gen-X adults as shallow and borderline pedophilic, I found myself repulsed by nearly all of the paper-thin characters. The only actor who seemed to rise above the limited writing was J.K. Simmons. The thing that disturbed me greatly, wasn’t how the movie depicted teen pregnancy, it was that there wasn’t a real emotion or situation in the entire script. Diablo Cody has written a screenplay that, while cutesy and cheeky, has none of the truth or real emotion she seems to think it contains. It also contains an incredibly weak portrayal of pregnancy. As my wife pointed out, some of the facts presented were just wrong. I have no idea why critics loved this movie. 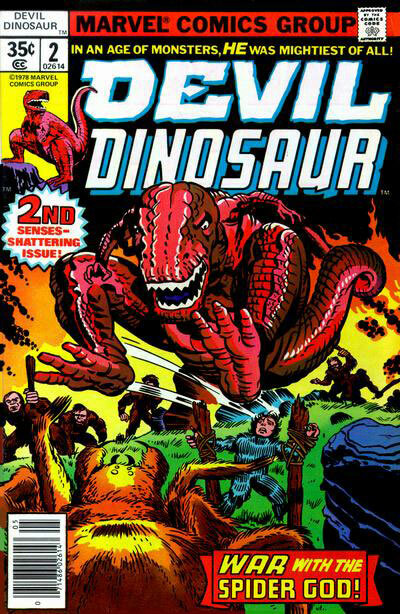 The performances were fine, but the source material was really limited. The quick fire, “witty” dialog attempts to hide the sins of the plot and characterization. To top it off, the music in this movie was the worst I’ve ever heard. It seems like it’s a collection of the worst played indie rock from the last five years. I’d avoid this movie. Just read some of the other reviews here. Out on DVD today is Paul Schrader’s Mishima: A Life in four Chapters. This is one of those movies that I saw in college and still sticks with me today. The beauty of the filming and the weaving of Yukio Mishima’s real life story with his fiction is just amazing. 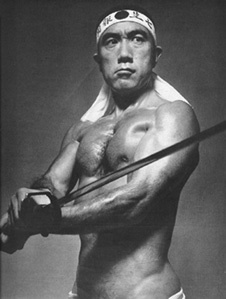 Yukio Mishima is one of Japan’s greatest post-war authors. His books are stunning as was his nationalistic samurai views. I was introduced to his work by a college professor and some friends and dare to call him the Japanese Hemingway. The New York Times writes a great, brief review of the film here. It’s definitely something to add to your Netflix queue. And yes, that is really a picture of him!